In response to a reader request, the project files for my V-FET PSU board shown here. 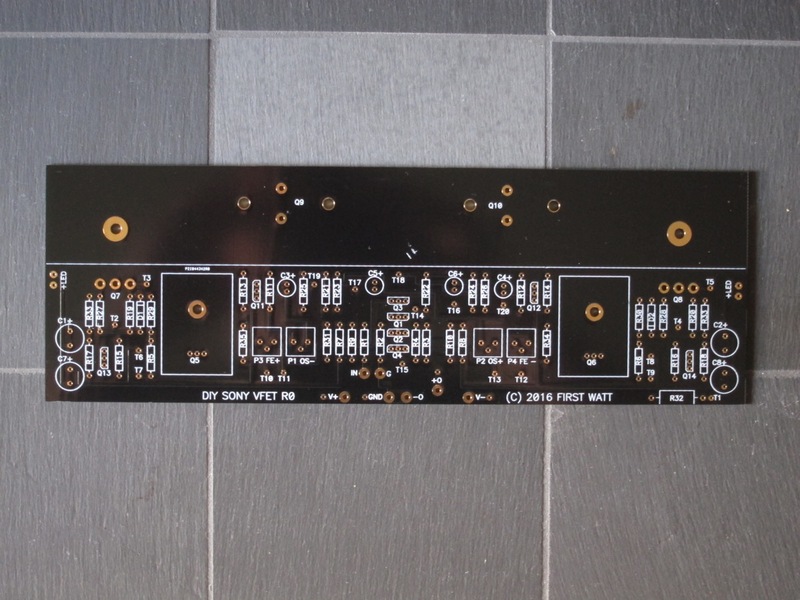 Of course, this will also work for any other class A design you might think of, as it is a fairly standard CC-R-C configuration with onboard rectifiers and space for three 35mm snap-in capacitors per rail. On typical class A voltages that means you’ll be able to use capacitors in the 22-33mF range and the the onboard rectifiers are 15-25A plastic SIP types, which should be just fine for most applications. The board measures 3.1” x 6.675” (app. 78 x 170 mm). Since the prototypes worked fine I haven’t made any changes and the board is therefore version 1.0. Nothing worth worrying about really. The only possible exception is only really the rectifier which is in a small GBU-package. However, Mouser has them up to 25A (p/n 750-GBU2510-G) and they are available from many other sources in 10-15A variants as well. The four series resistors can be 3-5W types in parallel which should be plenty, even if you want to burn off a bit of voltage in them. The (optional) 3W bleeder resistor discharges the two first capacitors while the LEDs will discharge the last ones. The series resistor for the LED can be a 1/2W or 1W type. Last, but not least: Electrolytic capacitors in this sort of size aren’t to be trifled with, so make sure you mount them correctly and test the board properly before mounting it in your amplifier chassis. The design is a pi-filtered CC-R-C type with space for 35mm electrolytics, which at the VFET-voltage are available up to 27-33mF. As I plan to use the boards in mono-mode (one per channel) that’s actually enough energy storage to be a bit frightening. The Pi-resistors can dissipate up to 12W per channel which should be plenty (at least I don’t plan to go that high). Also included are a polyester decoupling cap, a bleeder resistor for the two first electrolytics and a pair of LEDs which, apart from indicating power, also bleeds the last pair of caps. 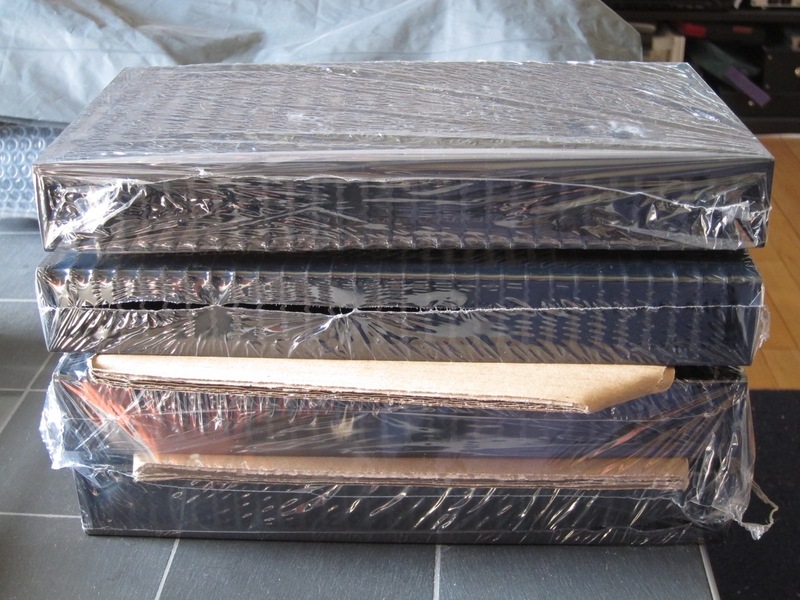 Pass V-FET kits are here! Forgot to post this a week ago when they arrived, but I managed to secure a couple of the Nelson Pass V-FET kits which I am quite excited about. 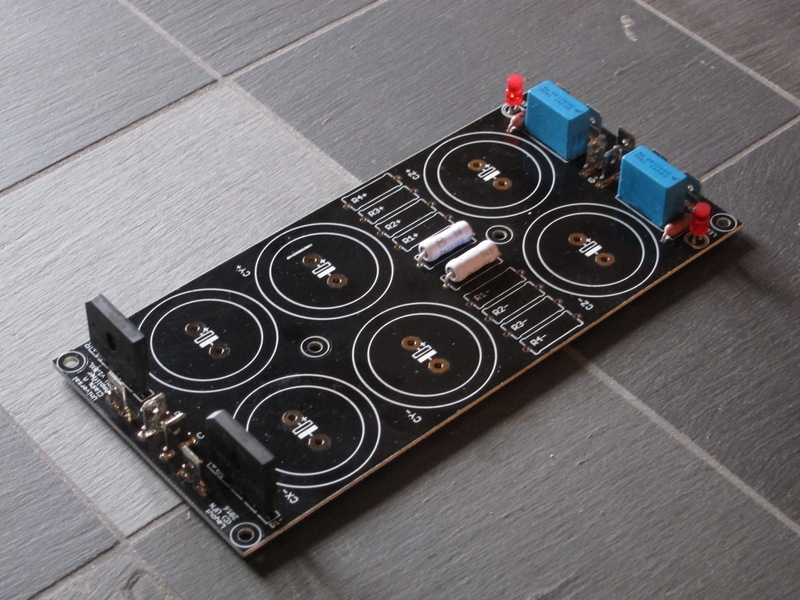 There’s a big discussion thread on diyaudio and also an article on the FirstWatt website about the design, in addition to the information in Nelsons previous articles on SITs (also on the FW website). As usual, I don’t really need these and the class A heat is a bit impractical in a small apartment, but a limited-edition amplifier kit with unobtanium transistors that was developed by Nelson Pass himself was an opportunity I simply could not pass up (pardon the stupid pun 🙂 ). The Firstwatt F5 is still one of the best amplifiers I’ve heard in my system so I have very high expectations for this new design. The lower power of the VFET could be an issue, but I’ll have to build it and try I guess – with my current speakers it should be OK and if not, I can always get a pair of very inefficient planar magnetic headphones instead :D.